Ready to head out on the waters of Key West with other fishermen to catch some fish? Let the captain and mates aboard the Gulfstream IV help you catch fresh fish for your dinner at home or prepared at a local restaurant. No fishing experience required and open to all ages. 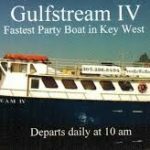 Since 1947, Gulfstream is the longest running deep sea party fishing charter in Key West. Set sail on a 58 foot charter boat with up to 60 passengers, to make fishing memories. Spend your day or night on the water and learn local secrets to have led them to catch record breaking snappers and groupers. Your fishing adventure will be bottom fishing in waters of 20 to 120 feet, and from 2 to 15 miles from the dock. The Captain will go to where the fish are biting. In the summer season, night fishing is available to enjoy catching a different variety of species of fish who are night feeders. Also, night fishing is cooler and you do not have to worry about the sun if that is an issue for you. A fishing party boat is an inexpensive way to catch some local fish, and fun with the family and friends at the same time. They provide you with all the equipment and bait that will be required, and they have a galley for snack and beverages you can purchase. You are also allowed to bring your own food as well in small containers. If you have a large group activity in Key West, the Gulfstream is available for private charters as well. What a great way to spend a day on the water for a Bachelor Party, Family Reunion or Team Building. Book your charter today! 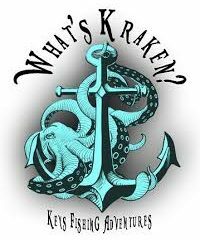 Call Kevin at Fun In Key West for more information and help you book your charter at 1-855-727-4673. Extra ~ Crew Member Clean, Filet, and Bag Your Fish For A Fee. Great for Bachelor Parties, Birthdays, Family Reunions, Team Building to name a few.